Remember Ralphie from the classic movie “A Christmas Story”? Well I guess all of the Ralphies of years past have grown up and are still wishing for fire power, only now it’s the real kind. According to the FBI who runs the background checks for gun sales, December 2011 is proving to be the busiest month for gun sales ever. Apparently electronic toys and gadgetry is not the only thing topping Christmas Wish Lists because Holiday shoppers are also flocking to gun dealers and purchasing guns in record numbers. FBI statistics show that this December Holiday shopping season is topping the last record setting month which was only last month – November. With only a few days left in December, the number of background checks has already topped last month. The NICS (National Instant Criminal Background Check System) has received 1,534,414 requests from gun dealers in order to complete gun sales across the United States. Almost half a million checks were performed in the last six days before Christmas. 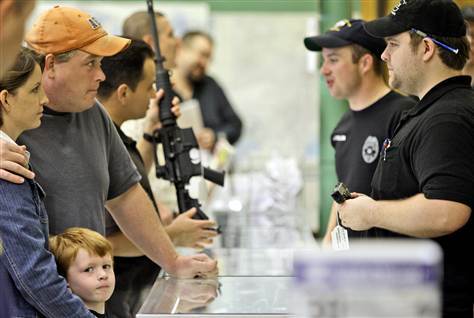 Two days before Christmas, the NICS ran 102,222 background checks, which was the second-busiest day in history. The one-day record was set this year on Black Friday, the shopping day following Thanksgiving this year, with 129,166 searches. By comparison, the previous one-day high was set November 28, 2008, when gun dealers made slightly more than 98,000 requests for background checks. I know that I was one of the half million and probably part of the one day record, as I caused one of the checks when I purchased a shiny new, stainless steel, Smith & Wesson, 1911 to add to my own collection. Unfortunately, since I live on the ‘left coast’ I was unable to take mine home before Christmas because of the 10 day waiting period we must endure, thanks to the “well meaning” liberals (sarcasm intended) in charge of our government. It’s amazing just how long ten days can seem when you’re waiting to bring home a new member to your family. Oh well, it’s just extending Christmas for me. The FBI had no explanation for the sudden jump in gun purchases but it’s easy to surmise that more and more people are feeling the need to be in charge of their own self protection and are thereby exercising their Second Amendment rights. Every day the main stream media features news stories of people who have become victims because of their inability to provide for their own defense. While the intent of news organizations is to show guns in a bad light, people are realizing their importance as a tool to have in their possession. Afterall, the police and the news reporters only show up after you become a victim. And with the Governor of our state opening up the prisons because of supposed “overcrowding”, it is becoming more and more important to be able to defend your family. Our “wise” judges have ordered a reduction in the prison populations saying that the overcrowding must be reduced. Of course, the liberal Governor is jumping on the idea of releasing criminals instead of fighting to build more facilities. Frankly, I don’t see why we can’t erect some tents to house those who choose crime as a career choice. It seems to work fine in Arizona. Happy New Year Gun Enthusiasts, and remember – More Guns, means Less Crime. I really hope other visitors think your article here as useful as I have. I was looking for information on how gun sales have gone toward the end of the year and found your informative blog. Thanks for the information. I think I was one of the record checks that helped cause the numbers to be high too. I had been wanting to get a new black rifle so thought I better do it before the 1st of the year when the new law goes in to effect. See, I live in the Peoples Republic of California too. Also, I was talking about it at work and found out that four other people I work with bought guns before Christmas too. Two of them are women too. 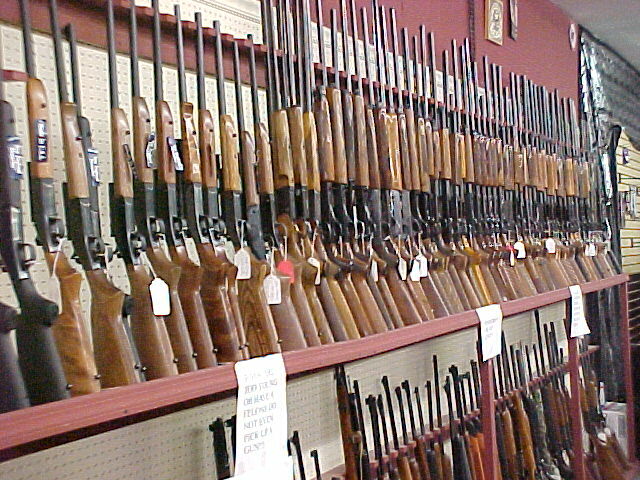 So at least in my world, there’s a lot of gun buyin’ goin’ on. Looks like you’re right on. You bring up a couple of good points. We spent a lot of time here on AB144 but made little mention of AB 809 which was also passed and signed by the Governor at the same time as AB 144. AB 809, which also goes into effect on Jan 1, means that all long gun sales will now be registered and saved in the same way handguns currently are. Now when a tyrannical government wants to confiscate your rifle, they will know just where to find it. Also, something that is just now coming to light is that women are becoming more and more prevalent in gun buying and shooting activities. I should make a post on that as well. Yes, I think I will, so stay tuned. I am crazy about weapons.